Clariant, a world leader in specialty chemicals, turns the spotlight on its increasing on-the-ground support and innovation focus for North America’s four key plastics application segments at NPE 2018. 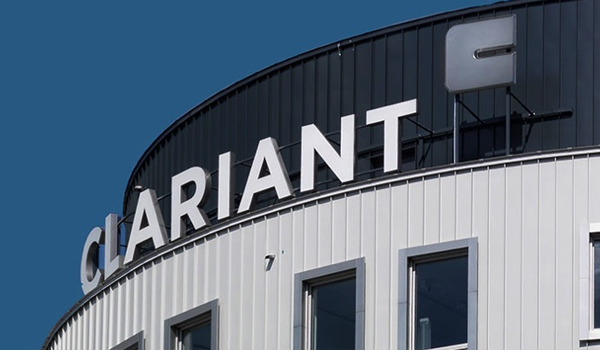 Clariant is pushing forward with plans for growth in the region by advancing R&D competencies, and increasing its manufacturing footprint and technical capabilities across its 50+ sites, 3 R&D and 6 technical innovation centers. Clariant’s innovations for the plastics industry include advanced additives, masterbatches and pigments which support the packaging sector in engaging consumers via differentiated, convenient solutions. At NPE, it will also highlight solutions for enhancing and protecting healthcare products, as well as its contribution to stronger and colorful textiles and fibers for everything from e-mobility to industrial applications. Clariant brings color and protection to support the increasing use of engineering plastics and high temperture resins in automotive interiors, exteriors and under-the-hood. Halogen-free Exolit® OP 1400 provides outstanding flame retardancy to polyamide parts, enhances safety with UL 94 V0 performance down to 0.4 mm and enables the molding of complex parts with no mold deposits and blooming. Exolit OP 1400 has been awarded the Clariant EcoTain®label for outstanding sustainability and performance. At the same time, Clariant offers low-halogen controlled high-performance PV Fast® pigmentswith excellent migration and weather fastness properties to meet the high requirements of today’s transportation and automotive industry. Easy processing Renol® compounds and masterbatches for engineering and high temperature resins provide heat and light stability, and flame retardancy, while maintaining critical flow properties in parts like SMT connectors. Importantly, they are available as small lots which enables customers to purchase only what they require and contribute to a reduction in their carbon footprint. Rigid Plastic Packaging Market – Business Opportunity, Leading Players and Highlights of the Industry: Radiant Insights, Inc.